Note: this used to be called an Invasoren Helmet, but now it's an Eindring Helmet. Just so you know. 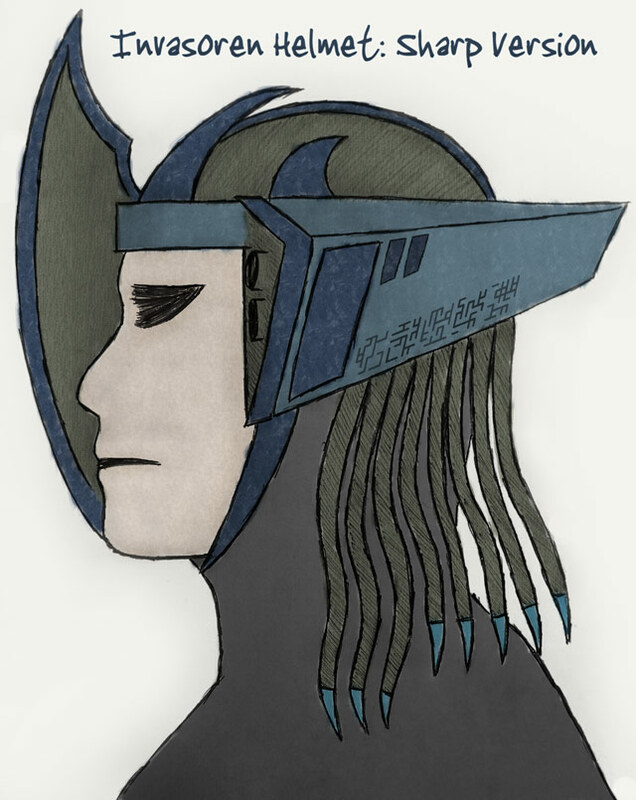 This is a concept sketch I made early this morning, when trying out different ideas for the Eindring helmets. The big issue was figuring out how the cranium was going to work... I finally settled on a simple dome covered with a wire mesh, which is then additionally covered by short arched spikes. Originally, I planned for the Eindring to have a very copper/red color scheme, but after a while I realized that blues and gray would fit them better. I'm also trying in this sketch to emphasis that these are a very pale people, unlike the much darker skinned Yarboa.